Sell your Home for Cash Now! 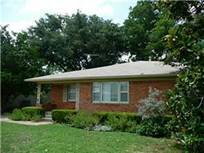 If you need to sell your home for cash fast in the Dallas / Fort Worth area, Hunt Group Homes can help you. We pay off any taxes and liens — you walk away with cash. Do you need to sell your home in Dallas, Collin, Tarrant or Denton county quickly? Have you inherited a home from a loved one that you can’t keep because of taxes, liens, repairs or other issues? If you have made investments that have not worked out, have had problem tenants and need to get out of the landlord business, we will buy your house in any condition. Tell us about your home so that we can provide you with a cash offer within 24 hours. There is no cost or obligation.